FIRST, PLEASE NOTE THAT THIS IS NOT THE USUAL BLAH BLAH BLAH! It’s YOUR personal information. We will tell you what info we have, how you can access it, how we use it, and exactly how you can remove all personal data that we may have. It’s always up to you, period. The bottom line is that we’ll do everything possible so that we don’t violate your trust in any way, especially any personal data that we may have. It means we’ll use proper security on mobile devices, so that if they are lost or stolen, there is a miniscule chance that somebody can crack the security and break in to the device and be able to access your data. GDPR is the General Data Protection Regulation – a law about data protection and privacy for people in the European Union (EU) and European Economic Area (EEA) that starts being enforced on May 25, 2018. Don’t get me wrong – there are numerous bad actors out there, who don’t properly secure personal data, or who do immoral at best, and illegal at worst, things with personal data. The malicious people should be put out of business and prosecuted, end of story. And the people who make reasonable mistakes and immediately fess up and try to help fix it? Well, we all make mistakes, so although I’m not happy when my data is compromised by some company … I understand that that’s the real world. But anyway, the EU has decided to reach far beyond what is necessary for protection of their citizens, and far beyond what’s necessary to allow them to punish the bad guys. Can you tell I’m not a fan of Big Government? So, below we’re trying to be completely transparent in everything we do. The funny thing is that we are not allowed to simply decide not to work with any clients in the EU or EEA, or prevent them from joining our mailing list. But if we block people, then we’re in violation of one of the clauses about discriminating against citizens in the EU or EEA. Big Government gets to tell me what part of the world I can and can’t sell to? Awesome. OK, no more ranting – let’s get going. There’s all kinds of Personal Data involved in Privacy Policies – Name, Address, Income, Payment-Related Data, Health Information, Cultural Profile, and other stuff. 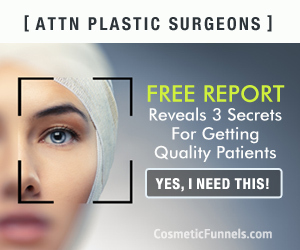 Cosmetic Funnels has very, very little of that information! For the most part, we have name, email address, *business* address, *business* phone number, and various company contacts. One important thing that we do NOT have is your credit card or payment information! Stripe handles your credit card and financial information. They are a large, well-known company that processes billions of dollars of payments per year. They have been funded by people like Visa, American Express, Peter Thiel (the founder of PayPal), and Elon Musk. At the time that I’m writing this, companies like Target, Facebook, Under Armour, OpenTable, Lyft, NPR, The Girl Scouts, and Unicef use them, so I feel pretty safe using them for my small business. For some products and services, we make a PayPal option available, and in that case, it’s just like with Stripe – PayPal receives your payment information, not our company. Some people who visit our website might have been burned too many times, and don’t want to use a credit card online, even with trusted providers like Stripe and PayPal. Not a problem – you can send us a check or a wire transfer. Less fees for us! Email us at [email protected], and our Office Manager will help. Cookies and Pixels and Tracking, Oh My! I firmly believe that many companies inject as much technical talk into this subject as possible to confuse people and make them just give up. I’m a nerd at heart, so I might stray in that direction, but I’ll really do my best to be straight with all of this. We (marketers) want to know as much about you as we can to figure out if you’ll be a good prospect for our products and services. There, I said it. But, given common-sense usage and common-sense limitations, isn’t that kind of what you want also? This is grossly simplified, but as an example, if you visit a General Motors website, they (or more likely a third-party like Facebook or Google) will run some “code” that will create a “cookie” on your device. That cookie can then be used to find out some things about you – what pages you visit and that kind of stuff. If you spend a bunch of time on their Cadillac pages, that’s something they’ll be able to use later. Again, this is highly-simplified, and can be done many different ways, but just stay with me. If you’re on Facebook later, you might see an ad for a Cadillac – imagine that! Many years ago that was pretty magical, but now it’s pretty commonplace of course, and people understand what’s going on, even if they don’t know the exact mechanism that allows it to happen. So back to my statement about you wanting marketers to know as much about you as they can. I’m exaggerating to make a point, but if you’re interested in a Cadillac, don’t you want to see special deals on, gee, maybe a Cadillac … instead of an ad for a Suburban? That’s the general goal of cookies and pixels and tracking code. You can absolutely block that from happening, or opt-out, or clear your cookies in your browser frequently. If this sounds too complicated, email us at [email protected], and we’ll help. Above I talked about pixels and tracking code and cookies. But let’s get really specific about something that we absolutely, unapologetically do. We have code from Google Analytics, Google AdWords, and Facebook installed on our website. If you visit our website, that code will “track” you. 1. It will tell us what pages on our website that “you” visited. I put “you” in quotation marks because it specifically does NOT track your computer/browser session back to anything that can specifically identify who you are. As an example, it can tell where you come from (geographically), what kind of browser you use, possibly your age range and gender, and all kinds of other stuff. Importantly, however, none of that tracks back to a name, or an email address, or a phone number or anything else. Google is extremely strict on safeguarding your privacy in that manner. 2. That code will keep tabs on “you” so that we can show you advertisements. Same thing as above with “you” in quotation marks. Google will let us target a list or group that you are part of, but will specifically not let us target John Doe or Jane Doe – a specific person. In fact, both Google and Facebook require a minimum “retargeting” list size to ensure that you can’t create lots of small lists that would make it easier to figure out exactly who somebody is. As I mentioned in the section above, that’s how you’ll see a Cadillac ad on Facebook after you visited GeneralMotors.com and looked at Cadillacs. But that’s also how it’s possible that you’ll see an ad for Allen Edmonds shoes on a third-party, non-Google site like the New York Times website after you go to the AllenEdmonds.com website. Retargeting (also known as Remarketing) is extremely powerful, and your practice should absolutely, positively be using it. Sadly, in audits that we do, we find that it is 30% of practices at the most, sometimes as little as 1 out of 10 practices that are doing this. That’s tragic, and costly to your business. I think you might be able to figure out who can help set that up correctly – and keep it from being done poorly like Allen Edmonds. But anyway, back to Google and Facebook Pixels and tracking. If you don’t want to take the time to learn about all of this technical pixels and cookies junk, but want to make sure that we help you exclude yourself from this, email us at [email protected], and we’ll help. So what happens if we decide we’ve had all the fun we can take, and sell this business to somebody else in the future? I think it would be disingenuous of me to guarantee that we can tell you exactly what would happen in that case. I can tell you that the reputation and integrity of the buyer would be of the utmost importance when we make that kind of decision. So do I think that some future, new owner will do a bunch of unscrupulous things with your data? Absolutely not. By the time we get to that point, the GDPR (not to mention the US and the rest of the world) will probably tell us exactly what we can and cannot do in terms of selling our business, and give us the 20,000-page contract that we must use. So it might be a moot point. So I don’t think it will be an issue. But if you’re worried about that, you can either cut all ties with us now so you’re ready in 5 or 10 or 20 years … or wait until we notify you that the business is being sold, and request all of your data be purged at that point if you don’t want to take the chance. Write to us at [email protected] with any concerns about this, and we’ll do our best to help. We have taken as many precautions as we can to ensure that our website(s) cannot be hacked. We employ SSL (Secure Sockets Layer) encryption, fully-managed high-end webservers with up-to-date hardware and software, and extremely strong passwords. Unfortunately, no measures can be guaranteed to provide 100% security. If this is not acceptable to you, we recommend that you do not subscribe to our email list, purchase a product of ours, or enter into a service contract with us. Send us an email to [email protected] and we’ll get that information back to you within the GDPR’s 30-day limit. More likely, because we care about our customers and subscribers and are as responsive as possible … because it’s just good business … it might be within 3 days or even the same day. Take that, Big Government! If all of this is too much, I understand. If you’re a mailing list subscriber only, simply click on the “Unsubscribe” link at the bottom of every email, and you’ll be permanently removed from the list. If you’d also like us to purge your record (even though it will show you as a deleted, non-contactable subscriber), just email us at [email protected] and ask. If you’re a current or former customer of our services, or have purchased one of our products, simply email us at [email protected] and we’ll scrub everything from all of our systems to the best of our ability. Please note that it may take up to ten (10) business days to fully process and comply with your request. There are various prescheduled events (like emails) which could take place and cause you to receive something after you have opted-out. That shouldn’t be the case for the most part, as most requests can be fulfilled right when we receive them, but we’re trying to be realistic and plan for all eventualities. Everything I’ve written above is about as far away from legal language as you could possibly get. That’s because we want to conform not just to the letter of the law, but to the spirit of the law. To hold any private information to be as private as it can possibly be. To tell people that they can ask for anything that we have on them. To inform people about exactly what we are doing with that data. To tell them how they can modify their preferences. To make sure people can easily remove any personal data we have on them. Remember, it was the straight talk that I thought was pertinent, and that I’d want to read if I visited a website. The stuffy, corporate, legal-speak to fulfill all the requirements is below for your reading pleasure. Protecting the privacy of the young is especially important. For that reason, this website will never collect or maintain information at our website from those we actually know are under 18, and no part of our website is structured to attract anyone under 18. Under our Terms of Service, children under 18 are not allowed to access our service. In addition, specifically, we will not target Facebook Lead Ads toward anyone under 18 years of age. We may collect personal identification information from Users in a variety of ways, including, but not limited to, when Users visit our site and in connection with other activities, services, features or resources we make available on our Site. Users may be asked for, as appropriate, name, email address, mailing address, phone number. When visiting this website, the IP address used to access the site will be logged along with the dates and times of access. This information is purely used to analyze trends, administer the site, track the movement of users and gather broad demographic information for internal use. Most importantly, any recorded IP addresses are not linked to personally identifiable information. – To segment what ads we may show you based on what your collected information indicates that you are interested in. Note that in all cases, a very limited amount of your personal information would be shared – likely just your name, email address, and phone number and sometimes less than that. Please also note that in many cases, we would initiate an action with our service provider (Calendly, for example), that has nothing to do with your information. You, then, would accept a link/appointment and/or login to that service, and possibly enter your name and email address into *their* application or website, as an example. Therefore, we are not really sharing any of your data in that scenario, but in the interest of being as transparent as possible, we want to document every eventuality. All trademarks mentioned herein are the property of their respective manufacturers.